So as I've mentioned a couple of times, country in 2016 has been overall pretty promising. Sure, the indie scene is having an absolutely fantastic year, especially on the edges of the genre, but I'd be remiss not to mention that the mainstream seems to finally be recovering from the stiff and sterile metropolitan trends that came after bro-country collapsed in on itself in 2014. Sure, there are still plenty of mainstream country records that play to that more synthetic sound, but the winds are changing, and the growth of huge sellers like Chris Stapleton or even reliable staples like Jon Pardi are telling the industry that an old-school or neotraditional sound might be viable again. And coming right into that mix is William Michael Morgan. Born in Mississippi, he caught some traction with a song cowritten with, yes, Sam Hunt called 'I Met A Girl'. Not particularly a great song - felt a little run-of-the-mill lyrically for a love song - but the production definitely intrigued me, with more pedal steel to match the gentle acoustic vibe than I had heard on a mainstream hit in a long time. Coupled with a voice that reminded me in the right way of George Strait, I was among the critics who were going into his debut album with skepticism - we've seen too many upstarts get sucked towards trendy sounds or fall off the radar, look what happened to Easton Corbin - but also some hope. Given that I've never really been on board with Jon Pardi, I had some hopes this kid could be the real deal - maybe not at the level of an act like Cody Jinks, but I could hope, right? So I made sure to check out Vinyl - did we get the return to neotraditional quality country radio has been missing for so long? Well, yes, you're going to get exactly that - but I'm not sure you're getting much beyond it. This, to some extent, is to be expected - not every member of the class of '89 was a powerhouse out of the gate, and William Michael Morgan does step onto the scene with the sort of poise and good sense you'd like to see, which is why I'm ultimately going to recommend this. And that's the thing, I want to support this record: it's well-performed, the sonic palette is right up my alley, but there's definitely a lot of room to grow and improve, which I think will be the real test for William Michael Morgan going if the radio accepts him. Which, for the record, they definitely should, because I see a lot of potential. But this is also the sort of record where there's not a lot to really say about it: if you like the 90s neotraditional country sound, with electric guitars balanced with acoustics, a bit of bar piano and pedal steel with a good bass presence, a little smoother than I'd normally prefer not not sterile, this will feel familiar and easy to digest. More of the texture is acoustic, of course, and I'd always appreciate a little more ragged fiddle, but in terms of melodic grooves and hooks... I'll admit it's a bit of a slow burner, but it does get to you. And while I don't want to give this record too much praise for what it doesn't do, there is a part of me that feels liberated there's no drum machines, no obvious synths or autotune, and the production actually has organic warmth to it. 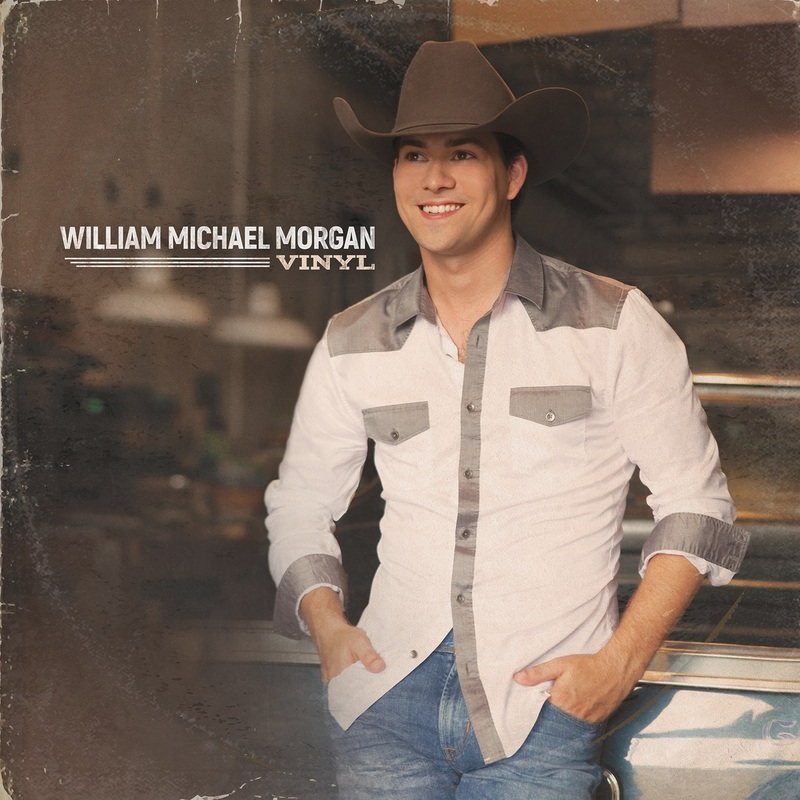 Of course a lot of it is complimented by William Michael Morgan himself - his vocal tones remind me most of George Strait, but there's a bit of Chris Young in there as well that should be promising when as he gets older - but I want to call out some of the best multi-tracking I've heard on a country record this year. It's incredibly smooth, but never to the point of actively feeling synthetic or forced. One of the main producers behind this record, was Scott Hendricks, who has worked with Alan Jackson - and you can definitely tell, because it does wonders to highlight Morgan's more expressive delivery, with always feels authentic. And sure, you could argue this record might be a tad too gentle - there are definitely some progressions that'd fit close to the smoother side of Tim McGraw - but I'd argue this plays to Morgan's benefit, as he's not really convincing playing the more meat-headed drinking songs like 'People Like Me' and 'Something To Drink About'. Whereas on the more romantic tracks like 'I Met A Girl', the subtle lounge cadence of 'Spend It All On You', the gentle vibes on 'Lonesomeville' post-breakup, it's a great fit for him. And a lot of this leads into the songwriting either, and the big credit I'll give to his writers for not being trendy. You can very much tell this album is playing to an older sound, and the writing is confident enough to play in that mold - might be a bit old-fashioned but it owns it, with the sort of maturity that won me over. A lot of people have already highlighted 'I Know Who He is', a song written about a father with Alzheimers that might not reach the gutpunch of Ed Sheeran's best ever song 'Afire Love' but still is an album standout, but there are definitely a few others that deserve attention. I know I'm a bit of a sucker for road songs with a parental connection - I still sing Alan Jackson's 'Drive' at country karaoke fairly regularly - so of course I was onboard with the advice on 'Back Seat Driver', but I also really liked 'Missing', a song about just taking off to be by yourself for a little while, and compared to when Tyler Farr did it last year with 'Suffer In Peace' it's far more approachable. And 'Lonesomeville' is about as good of a post-breakup song as you'd expect, and one with a writing credit from Morgan to boot. That's not saying all the writing is great, and it's probably what holds me back from recommending this record more. For one, while I can appreciate the sentiment of 'Beer Drinker' and 'People Like Me', they can feel a little meat-headed and not really William Michael Morgan at his best, but the track that felt a little dissonant to me was 'Cheap Cologne'. It's a track where he catches his girl cheating and leaves, but the instrumental vibe and the delivery feels a tad too relaxed and chipper to really work with the subject matter - I like the fiddle and groove of the song, but it doesn't quite work for me. The last nitpick is in the detail - while this record does do a reasonable job setting things up, I feel like the writing could have used a tad more meat and drama to balance things out, and some of the song structures on songs like the title track and 'I Met A Girl' are pretty basic - functional, but there could have been more. But at the end of the day, if you're a country fan, this is an easy album to like and recommend, especially if you want to see the mainstream pivot back towards a more neotraditional sound. And again, there's a lot William Michael Morgan is doing right, and I'm thrilled to see him starting to pick up an audience, especially in a year where country seems to be going in the right direction. In terms of this sound he's not beating Mark Chesnutt or Cody Jinks - mostly because of the writing - but he is on the right path, and that's why I'm giving this a light 7/10. If you're a fan of neotraditional country, you should have already gotten this record, but still give it a look regardless. There's a lot of records that dropped on September 30, and the fact that I'm covering this before so many others belies how important I think it is - definitely check it out.